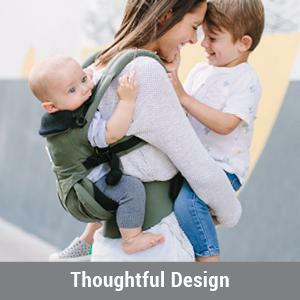 Click the button below to add the Ergobaby - Omni 360 All-in-One Ergonomic Baby Carrier, 4 colours to your wish list. Our all-in-one, newborn ready Omni 360 has all the carry positions you need. The Omni 360 grows with your baby from week 1 to 36 months and will support a child up to 45 lbs. You can have it all in this carrier. 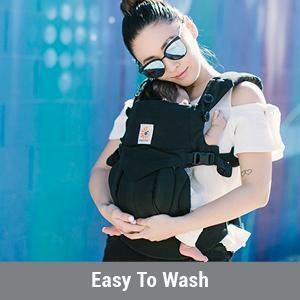 Adapts to your growing baby from newborn to toddler (~0-36 months / 7-45lbs). All carry positions included, face baby in or out, wear on the hip or back. Large storage pouch included. The only carrier you need. 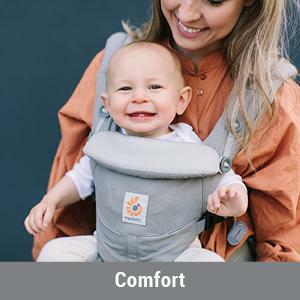 Exceptional lower back comfort with padded lumbar support waistbelt & extra padded shoulder straps with the option to wear 2 ways: crossed or 'backpack style'. Waistbelt can be worn high or low to maximize comfort, especially post C-section. Acknowledged as hip healthy by the International Hip Dsyplasia Institute. 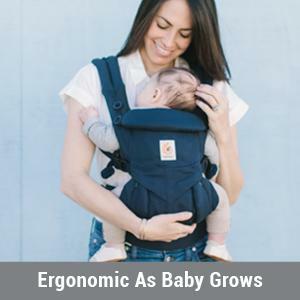 Adjustable bucket seat supports baby in an ergonomic natural 'M' position in all carry positions. 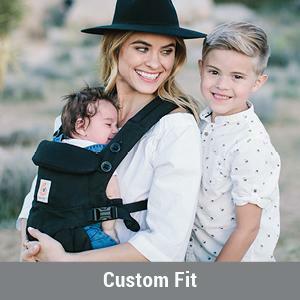 Fits multiple wearers from petite to larger body types (waistbelt adjusts 26-52", shoulder straps 28 ¾" - 48 ¾") & easy to reach buckles to make adjustments. Easy breastfeeding & UPF 50+ tuckaway baby hood for sun & wind protection. Machine Washable & 100% premium cotton.